Earth Guardians, our club for young people aged 9 -13 years, is back and better than ever! 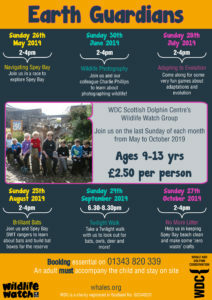 Partnering with Scottish Wildlife Trust (SWT), Earth Guardians is now a Wildlife Watch club and we have some fantastic sessions planned for this year. 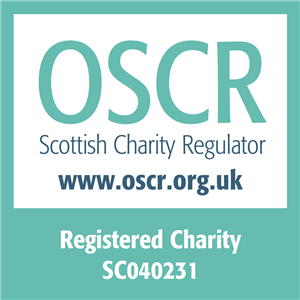 The club will be running on the last Sunday of every month, May to October 2019 (2-4pm – unless otherwise stated for a particular session) at the Scottish Dolphin Centre. Each session will be different and varied ranging from a Wildlife Photography session, to making bat boxes, taking a Twilight Walk and much more including other fun games and activities! Cost is £2.50 per person and we ask that an adult stays on site for the duration of the session. Booking in advance is ESSENTIAL by ringing 01343 820 339 or popping into the Scottish Dolphin Centre.